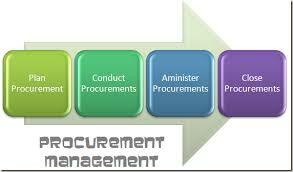 Procurement management is the process companies use to buy economic resources along with business input coming from suppliers or distributors. This process allows companies negotiate rates and get the very best quality resources for manufacturing processes. Procurement management can be explained as the independent monitoring or tracking associated with manufacturing processes to buy order requirements. Larger companies can easily purchase resources along with inputs in huge volume quantities; high volume purchases usually call for a procurement management process.